FINANCE Minister Colm Imbert wants to collect at least $500 million per year in revenues from tax levied on the local gaming sector, as a measure to try to balance his accounts. In hisbudget wind-up yesterday, he said private members clubs operating as casinos are supposed to pay $400 million annually but only pay $48 million. Likewise, operators of slot-machines in bars are supposed to collectively pay $100 million per year but usually pay just about $8 million. He said the $100 million was comprised of $60 million owed on 20,000 to 30,000 slot machines at a tax-rate of $3,000 each, plus $36 million owed on 1,000 mechanised roulette machines. Rather than this $100 million sum, he said, the amounts actually collected were $5 million in 2015, $8.5 million last year and $7.9 million this fiscal year, averaging about $8 million. Imbert said these are conservative figures. Alleging casinos are mostly owned by foreigners from England, Russia, Turkey, Indonesia and China, he said you never see the real owners but merely their staff...the little people, who are sent to protest outside Parliament upon pain of dismissal. 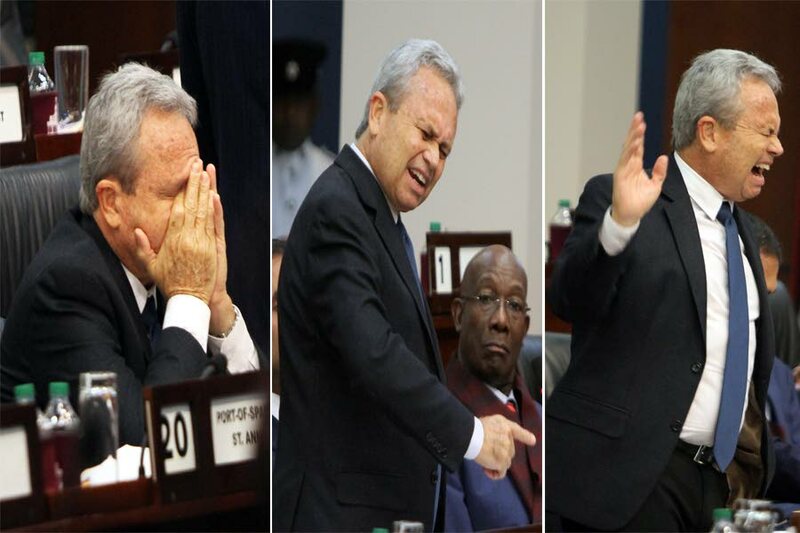 Imbert lamented that in recent times, 30,000 people had suddenly disappeared from the pay as you earn (PAYE) system. The Board of Inland Revenue (BIR), in a probe, found some companies were converting employees’ status to that of independent contractors, each responsible to pay taxes and heath surcharge, but which many fail to do. “There’s a lot of tax dodging.” Imbert spelt out the need to for more revenues to balance his budget. “As debate ended in the Lower House yesterday, the budget will go to Parliament’s Standing Finance Committee next Monday. Reply to "Colm wants $500M from gaming"